The OHS Body of Knowledge will be launched on 18 April 2012 at the SIA National Convention, Safety in Action. The OHS Body of Knowledge describes the core knowledge expected of OHS professionals, and provides a basis for accrediting OHS education programs for them. It will underpin professional certification and deliver confidence in recognising those competent to provide OHS advice and support. The need for a body of knowledge for OHS professionals was identified in reviews of OHS legislation and OHS education in Australia. For OHS educators the OHS Body of Knowledge will inform program development and learning materials. Prospective OHS students will have their accredited education programs developed by taking account of the OHS Body of Knowledge. For OHS professionals seeking professional certification, their practice will be assessed considering the scope of the OHS Body of Knowledge, and Continuing Professional Development (CPD) will be structured with reference to the OHS Body of Knowledge. 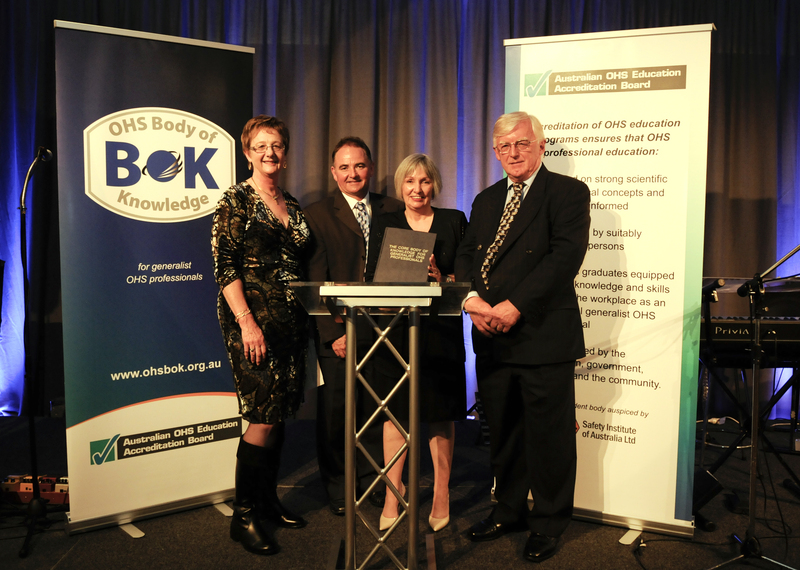 For OHS regulators, employers or recruiters the OHS Body of Knowledge provides a benchmark for professional practice. The process of developing and structuring the main content was managed by a Technical Panel with representation from Victorian universities that teach OHS and from the Safety Institute of Australia. Input was obtained from OHS educators and OHS professionals Australia- wide. Specialist authors contributed chapters, which were then subjected to peer review and editing. The OHS Body of Knowledge has been developed as an e-book and will be regularly amended and updated as people use it and as the evidence base expands. Whether you are an OHS professional, an educator or use or employ the services of OHS professionals then make sure you are part of the discussion.